Lyda Hill’s long-standing appreciation of nature drives this area of philanthropic focus. Lyda Hill Philanthropies’ investments span a broad continuum — from projects and teams that focus on systemic changes in protecting and managing our environmental resources to research projects making meaningful change “on the ground.” Miss Hill believes everyone should have access to nature and remain committed to ongoing investments in green space. Believing that the long-term success of our economy, health and communities is tied directly to the health of our planet, Lyda Hill Philanthropies seeks to fund projects that drive public awareness and appreciation for our natural world and resources, as well as organizations that educate and advocate for sustainable conservation of our most precious natural resources and spaces. Lyda Hill Philanthropies funds projects that think big about making game-changing advances in large-scale protection of our natural resources and spaces. Lyda Hill Philanthropies funds “on the ground” land and water conservation research projects as well as parks, and works to improve our environment and communities. For example, studies show that parks can encourage physical activity, reduce crime, revitalize local economies and help bring neighborhoods together. Miss Hill strongly encourages engagement with the local communities in which she works to ensure there is a green space within a ten-minute walk of every person, in every neighborhood. Garden of the Gods Park is a registered National Natural Landmark, consisting of 300-foot towering sandstone rock formations against a backdrop of snowcapped Pikes Peak and brilliant blue skies. The Garden of the Gods Park was rated No. 1 city park in the U.S. in 2014. 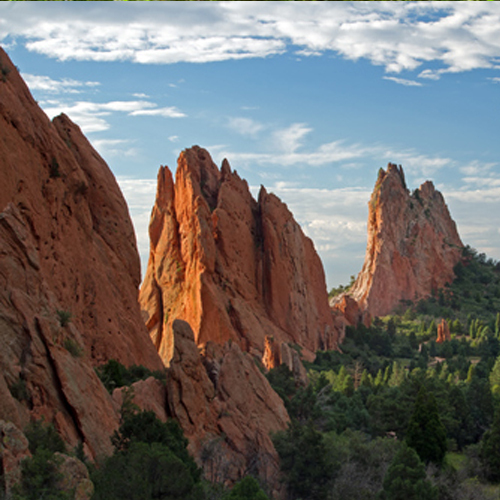 As one of the most visited attractions in the Pikes Peak region, the Garden of the Gods Visitor and Nature Center offers free maps, park information, guided nature walks and free interpretive presentations daily. Garden of the Gods Visitor and Nature Center has been voted Best of Colorado Springs for Recreation Services numerous times in recent years. The Visitor Center recently underwent a complete renovation to provide a modern experience for the millions of visitors who visit the park. Lyda Hill Philanthropies funded, built and has continued to support the Visitor Center for decades. 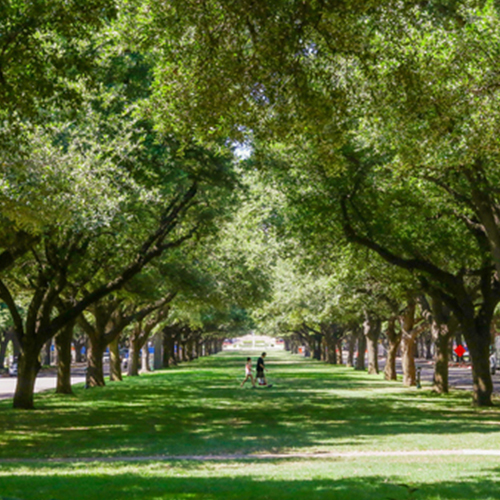 The Texas Trees Foundation (TTF) is a private nonprofit that implements nature-based solutions grounded in scientific research to promote health-centric change in Dallas. In 2015, TTF launched the State of the Dallas Urban Forest Report, which identified the Southwestern Medical District (SWMD) as an area with one of the largest urban heat islands in the City of Dallas. TTF’s research found that Dallas is heating up faster than every city in the country except for Phoenix. With less than 7 percent tree canopy, the impacts of the SWMD’s amplified heat on human health directly affect the costs and challenges of the three world-class hospitals located in the district. Lyda Hill’s interest in addressing issues at the nexus of public health and the environment has led her to support the SWMD Urban Streetscape Initiative Master Plan and Phase 1 Implementation, which will mitigate urban heat island effects and transform the SWMD into a model of green infrastructure on local and national levels. The Nature Conservancy works around the world to protect ecologically-important lands and waters for nature and people. 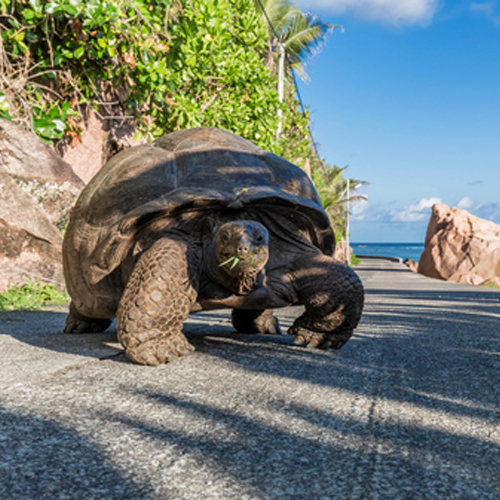 In 2015, Miss Hill provided a grant to The Nature Conservancy (TNC) to help execute a groundbreaking debt-for-conservation deal with the Seychelles. Negotiated by TNC in partnership with the Seychelles government and the Paris Club, an international debt-relief group, the transaction converts a portion of the nation’s foreign debt into a $22 million investment in expanded marine conservation. Despite the fact that the Seychelles’ marine waters are 3,000 times larger than its land area and more than 50 percent of the land is in a protected area, only 0.04 percent of the ocean was formally protected at the time. As part of the debt conversion, the Seychelles committed to increasing its marine protection to 30 percent of its Exclusive Economic Zone and ensuring representation of all marine habitats and species by 2022. Half of the commitment has already been realized through a 2018 designation of 210,000 square miles of marine-protected areas.